We are being intentionally deceived. Politicians do it. Media does it. Schools are doing it. Social media reveals just how bad it is. This pic was not taken locally, but it was posted locally. The person who posted it doesn’t see a problem? Do you? That brings me to Sonny Garcia – Illinois People’s Action. Keep in mind many other groups agree with him on illegal immigration. The only question is: Do they not know either? It is hard to believe Americans could get sucked into believing government was the answer to all problems or that socialism was the cure. Since Sonny doesn’t know US History, he probably doesn’t know how many people have died because of socialism. Sonny was never taught the greatness of capitalism that has lifted millions of people around the globe out of poverty. 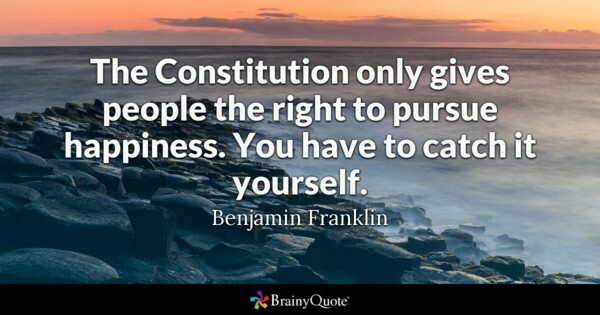 Government isn’t required. Person #1 has a product or service person #2 wants. #2 compensates #1. Both people benefit. Repeat, repeat, repeat. This is how America grew to a great country and why people came here with virtually nothing and prospered. Sonny, your wish list is a recipe for destruction. thinking Americans see the destruction socialism causes. You will not be allowed to turn this country into a 3rd world hell hole. I hope he takes 10 minutes to read the Declaration of Independence and the Constitution. It looks like he never has. If he needs a copy, I’ve got one he can have. Until then, having civilized conversations based on issues and facts are useless. Educate your kids unless you want to raise Sonny’s. 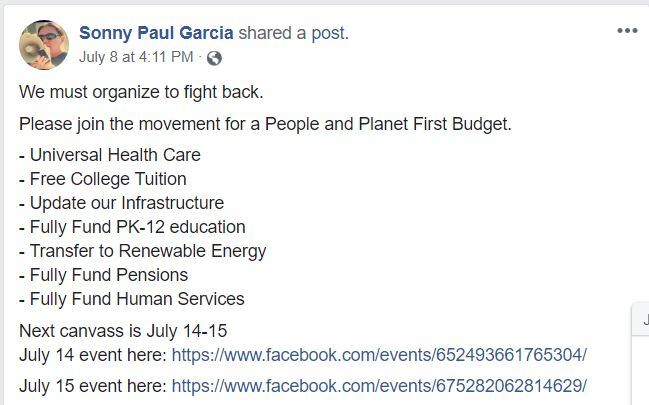 Posted in - - - Please Contribute - - -, BloNo, Bloomington, Constitution, elections, fracking, green energy, illegal immigration, Liberal Media, Local, Pantagraph, Progressives, schools, Wind subsidies.Tagged Fist Blono, republic not a democracy, socialism, Sonny Garcia. Howard Packowitz linguistics for the left are really great. The left suffered, the left has name and they want something good. Howard’s linguistics for those who love America and wish to have boarders are very different. 1. a line separating two political or geographical areas, especially countries. 1. a person who receives regular meals when staying somewhere, in return for payment or services. 2. a person who boards a ship during or after an attack. Thanks for moving the conversation forward! Nit picking at spelling/typos and grammar is always the last defense of the soundly defeated keyboard warrior. These are the same people who will mock and deride Melania Trump’s Slovenian accent but would NEVER ever ever mock or deride the broken English or accent of a person from say Guatemala or Pakistan. It’s truly pathetic the double standards they employ. Too bad you have run out of lies to push your agenda so you have to go playing the spelling card. What is next….call them racist, commies, nazis? Only thing you get right is your name. Ronin is a term used to define Samurai who were removed from their group due to bringing shame to the group thru one’s thoughts or actions. I can not think of a better way to describe how you should be removed from society….you are a shame to the working members of society. That was Rich not Ronin! Damn, got my names turned around my comment was to Rich who acts like a ronin…either ignore comment or understand I screwed up and admit it. My apology to the avatar writer ronin…I have shamed myself and must commit Seppuku…. You scared me for a minute! Say, Richie…since you’re so smart, why don’t you go back to the kiddie table where you belong and explain to Sonny Paul Garcia what a republican government actually is. He is obviously in more dire need of you and your mad Cut/Copy/Paste skills than we are. YOU GOING TO ANSWER THIS POST RICH? I’m not sure Sonny can read, and if he can, there’s a 99.99% certainty that he can’t comprehend what he has read. No Stan evidently Sonny can not read or comprehend because in OUR Declaration of Independence and OUR Constitution the word “Democracy” is not found but the word Republic is and that is what our great nation was founded on a Republic. These individuals like Garcia and this fat slob with “no character” are products of the HATE fueled against the America, OUR Liberty and Freedom that we have Always Loved. The community agitator Charlie Manson stirred his cult followers up to terrorize, destroy and even murder much like Obama has his cult followers EXCEPT because of Obama’s high position and this Saul Alinsky Progressive movement it is hundreds of thousands times worse today. I hope and pray President Trump with his agenda can put this evil genie back in the bottle to Make America Great Again that we may see our cities, counties and states saved from this venomous poison!!! 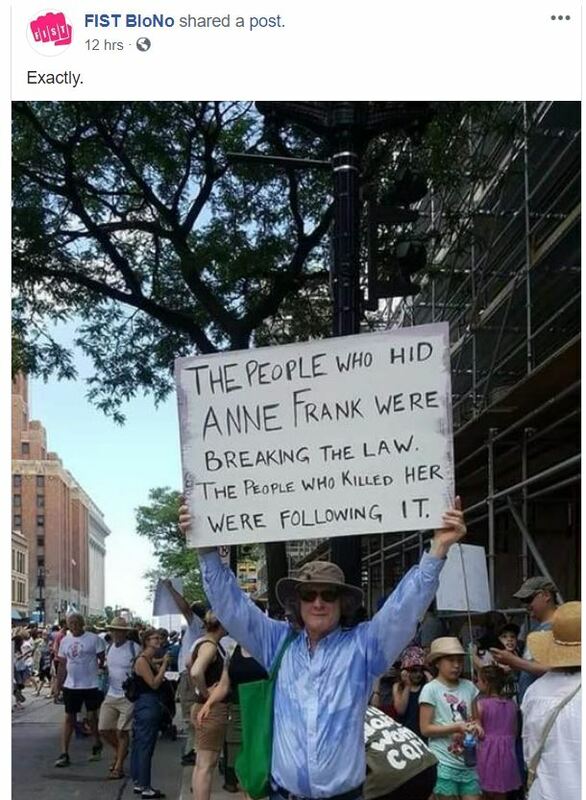 The picture of the poster regarding Anne Frank is sobering indeed and way off base. These people with no brains are the ones who follow mindlessly. Unbelievable. Here is what we are up against… enjoy! FAIL! — How Many Stars on the American Flag? — MEET THE AMERICANS WHO DON’T KNOW! Yes… and they focus on spelling errors or personally attack us for our supposed intolerance… I am intolerant of people who can’t discuss a subject without gaslighting or attacking me. Bring your arguments to the table or stay out of the discussion. This is the left’s biggest success: the dumbing down of the public schools. Entire generations have been taught to make emotional, un-informed decisions. They don’t know how many stars are on the flag, or why….but they can sure tell you how many genders there are and that Cuba and Che are hip and cool. That hurt my freakin’ brain to watch that. Somebody….PLEASE! Put a big rock over the hole those idiots crawled out of. Thanks as always for your research and passion. That said you seem equally intolerant of those who don’t support your position. chuckle , nothing is free , any cost has to have something to pay it . be it out of the one causing it or another pocket . these yokels think government should pay the bill for all the things they want to have , but we are the government . we cover those expenses by various taxes and tricks the government pulls .good old socialism ,, a little is ok but too much and the sky will eventually fall . and universal this or that is a one size fits all concept . The reality is we need to revamp everything already in place . make it so there’s less waste and abuse , a bit more accountable , and both competitive and responsive to each need as we are all in different boats and shoes .also end lobbyist and that circular set up of pay per play . no more congressional perks , insider deals and trading , and level the power of the members as far as capacity to do their job , to many top dogs runnin the roost and little getting done or acted upon . Those college profs would need to quit making six figures plus! I bet he plans to tax the rich. Don Carlson at Illinois Peoples Action needs to do a better job training his guy Sonny Garcia. Sonny is a leader with a following of people who want to burn our system of government to the ground and yet he doesn’t even know what system of government we have in the United States. I’m sure Don Carlson was embarrassed. This should be a wake up call to their followers. What else are their leaders uniformed about? I wonder how Sonny proposes to pay for his list of demands. Wait, let me guess… “tax the rich”. We can’t pay our unfunded mandates already and Sonny wants all of us to pick up the tab for more handouts. Perhaps, Venezuela would be more to his liking. I don’t EVEN NEED to READ all this BS! Are you KIDDING me. ANNE FRANK! She was hiding out in a frigging closet from the NAZIS who would have killed her on sight OR in a gas chamber. And THESE freaks want to compare this to her. NO WAY! That’s like comparing Elizabeth Warren to Abraham LIncoln! We NEED to START getting RID of this infectious parasitic crap that has slimed into this FINE community IMMEDIATELY, before it spreads and becomes a “health hazard” Along with pink hair. WHAT up with this and that??? I SAY TAKE BACK OUR TOWN and let’s check the taxes that THESE folks pay and scrutinize EVERY piece of their life. AND if there’s even ONE number out of order. UNLESS of course, you’re LEGAL! Which then you’re registered, have an ID, PAY taxes AND have proper papers. Right Jen, Sonny, and Tari??? GOD BLESS AMERICA, and it’s LEGAL CITIZENS! Lawrence: Is it JUST you and I that get all this gobbdley-gook? These fools want FREE EVERYTHING! Heck, how about FREE passage to another country of OUR choice! I could think of some DARN good ones, that would have them calling home and wanting BACK in before Friday! Consider this. AT the END of WWII he was an occupation troop in Berlin and in the winter there were literally THOUSANDS of German citizens (who survived) sitting out on frozen lakes fishing, as there were NO GROCERY STORES, something about them and bombs not getting along well! And IF they didn’t catch fish, there was ALWAYS Rover IF ya could catch him. As a PLAN “B” there was rats, etc… IF you’re hungry enough, you’ll lower your standards! Guess McDonalds has these folks spoiled! These folks have NO IDEAL of WHAT the NAZI machine did to Germany and Europe, and the effects are STILL visible today! But they like the word because it “rolls” off the tongue well!! Yes.. my father would also be spinning is his grave. These folks generally have a complete lack of understanding of basic history and many many other things. They throw around the word Nazi without even understanding what it really means. Real Nazis (WW2 type) would be laughing at these fools who call President Trump and others here Nazis. They have NO idea what they are talking about. The Nazis exterminated 6 million Jews and untold numbers of Gypsies and other undesirables in a very systematic way. Comparing Trump to Nazis is like comparing an apple to a hand grenade. You and I grew up working and worked all of our lives. I have a feeling that most of these crazy kids have never really worked an entire day in their lives. And no I am not talking about working in front of a computer screen. I am talking about real work with your hands and your back. Real work teaches you something about the value of money. Everyone has had it so good for so long that they don’t understand much of anything about the real world. They demand this and demand that…like children….the world doesn’t work like that… they don’t seem to understand. Like I said in another post, I have been a political animal since age 9 when I campaigned around my little town for JFK. I can truthfully say that no man since FDR has had the unique skill set to truly make America great again until now. Trump has that unique talent stack that is ushering in a golden age for the United States. And for those who don’t believe it… just wait… it’s happening right now…before your very eyes! Meidaghpst – tis, ok, but I must say I was like WHAT??? -and that was one way a samurai could become a Ronin, another way was the death of their Lord/patron, and some were simply drifters who were never under the patronage of a Daiymo or shogun – yes, they were for the most part rogues/drifters etc some outright criminals but some were simply Black Sheep who did not easily fit in or ones who were in shame because they could bring themselves to commit seppaku. I prefer to think I use it more to honor the 47 Ronin who became heros/legends though. Could NOT bring themselves to commit seppaku I meant. Why do you continue to give these people free publicity? Previous Post Public Comment – worth watching! Next Post UPDATE: Veterans aren’t the “Right Fit” Tari?